Here are some of my usual outfits. If you will ask me when did i start to love fashion? 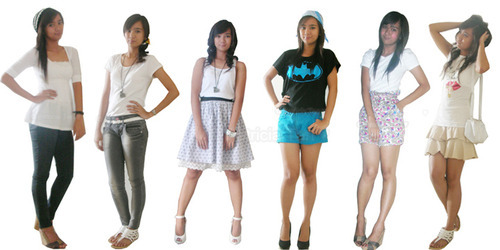 As far as i could remember, It started year 2010 when i knew about Tricia Gosingtian. She inspired me to dress up, mix and match simple to formal outfits. Fashion is generally expensive, but style is not. The way you put things together is what makes you unique- Tricia Gosingtian replied to one of her fan. I totally agree with her. It's not what brand are you wearing but it's how you put things together! Pick clothes that make you feel comfortable in and whatever that strikes your mood because confidence is about feeling comfortable in the clothes you wear.